Rarely available sun-filled 3 bedroom contemporary corner unit in Streeterville's coveted 550 Saint Clair! Click on the Virtual Tour link for a Matterport 3D Tour. Floor-to-ceiling windows in every room allow for wonderful views of Mag Mile + the vibrant cityscape; living room opens up to a massive 30' west-facing balcony, perfect for grilling. 11' foot ceilings + customized floor plan; beautiful re-finished Brazilian cherry hardwood throughout every room. Modern kitchen features Sub-Zero/Bosch appliances, granite counters + designer white European cabinetry; large cooking island/breakfast bar; spacious dining area. Spacious master bedroom suite w/ a large built-out walk-in closet; upgraded master bath w/ Carrera marble throughout, double vanities, toilet closet. In-unit laundry. Well-managed building boasts an indoor pool, lovely sun deck, exercise room + 24 hour door staff. Extra storage included in price; premium heated indoor garage parking: $40K. Ogden school! 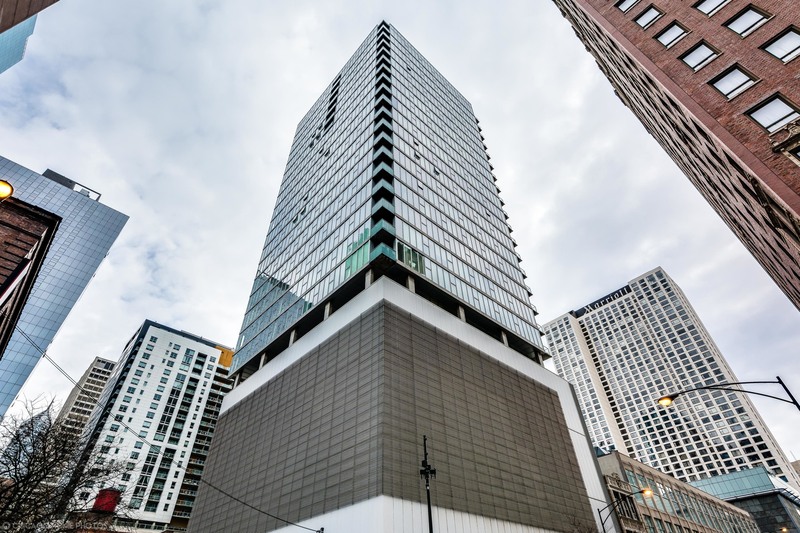 Coffee Shop 0.07 mile - Intercontinental Hotel-Chicago-Lobb Starbucks @ 505 N. Michigan Ave.
Property information last modified by seller on Tuesday, January 01, 2019, 12:05 AM CST. Information Deemed Reliable But Not Guaranteed. Unauthorized duplication, use, or linkage is prohibited. The information on this web site is for personal, non-commercial use and may not be used for any purpose other than to identify prospective properties consumers may be interested in purchasing. Monthly Payment Calculator results are for illustrative purposes only, not a financing opportunity; calculations assume a 30-year fixed-rate mortgage and do not include closing and other costs. Property Tax on NEW properties is estimated at 1.5% of Listing Price for payment calculation purposes; actual value may be higher or lower.